and finally the 40 days of Jesus’ resurrection before his final ascension into glory. These periods were often times of trial, temptation and preparation. I hope that reading and reflecting on them through this season of Lent will help us to reflect on our own trials and temptations, as we prepare once again to celebrate Christ’s great triumph over death this Easter. My plan is simply to make time each day to read, reflect and pray through these readings. I hope you will join me. Why aren’t there 40 readings? 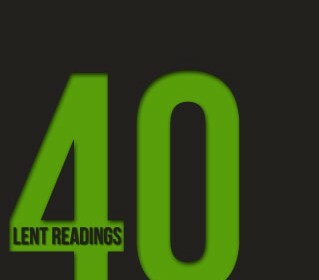 40 is the thematic link, not the number of readings. Traditionally, the forty days of Lent includes the period from Ash Wednesday until the day before Easter Sunday, but it excludes Sundays since these are always ‘feast days’ rather than ‘fast days’ because every Sunday is a mini-celebration of Christ’s resurrection. Some of the Sunday readings reflect that idea of feasting and celebration. What is the purpose of this time of waiting, testing or preparation? How does this time reflect the experiences of the Christian life as we wait for the final resurrection?